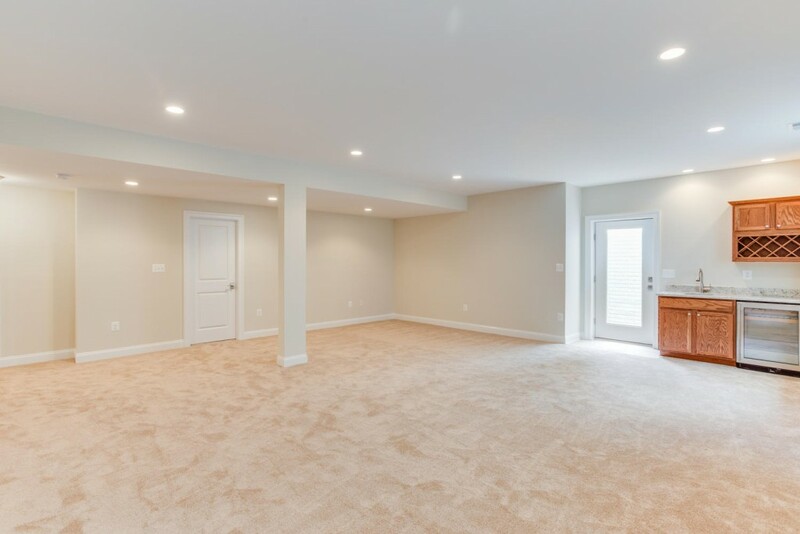 When it comes to finishing off your basement and finding the right materials to make your basement feel complete, choosing the right ceiling tile can be a challenge. 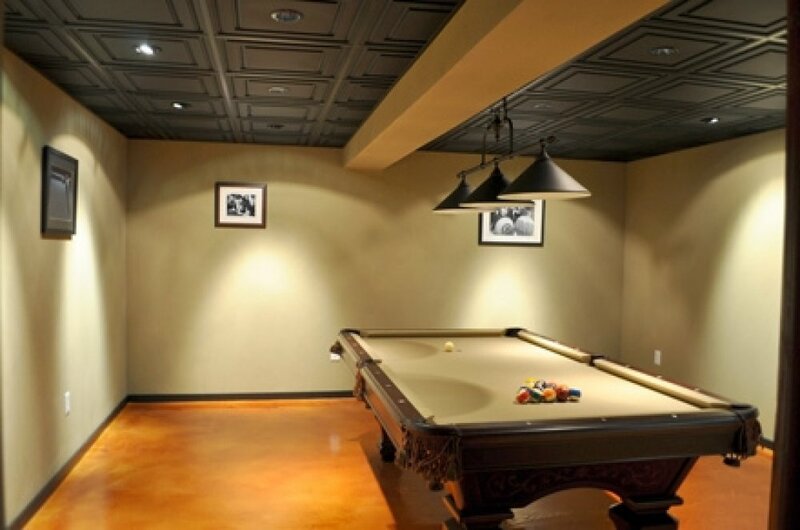 This can be particularly difficult if you are trying to stay on a budget with your basement ceiling project. You might have to get our your drill to get the job done. Many times, homeowners who are looking to finish their basement, or partially finish their basement don’t think about budgeting in a great deal for ceilings. However, that doesn’t have to be a problem. 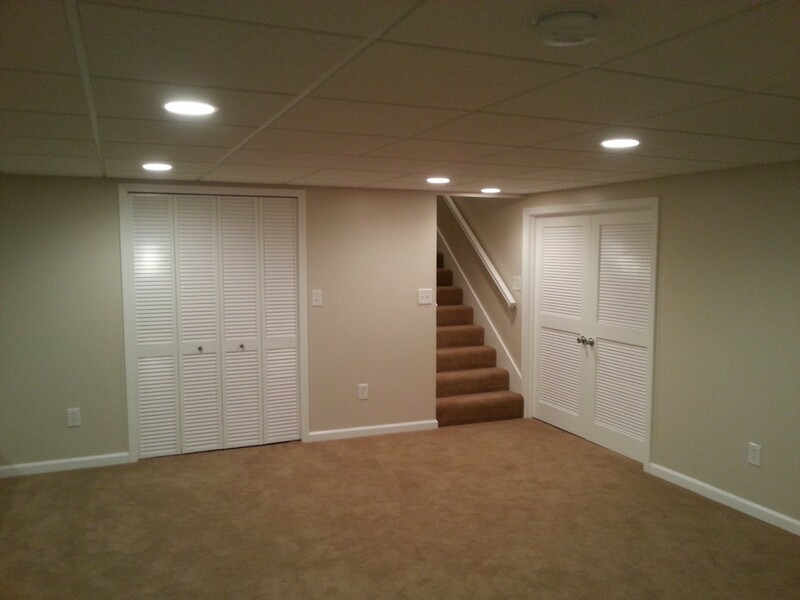 Finishing off the ceiling of your basement may seem like a big undertakingbut you can get the project done without spending a fortune. However, you don’t have to spend a fortune in order to get this new ceiling solution. Here are some of the best budget-friendly ceiling options. If you have a drywalled ceiling in your basement don’t think it’s particularly attractive and want to give it a boost, wallpaper can be your best friend. HD or 3d wallpaper comes in a roll but looks like anything but wallpaper when it’s installed. Instead of paying for new panels or tiles you can put wallpaper up to mimic the look of tiles. These wallpaper options are typically paintable as well so you can make your pseudo tiles any color you wish and change them as you want. 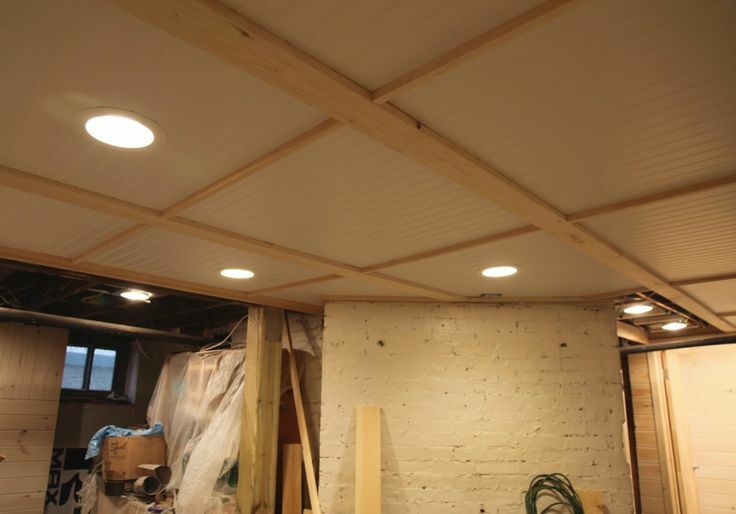 If you have a completely unfinished basement ceiling and you need to make some upgrades, you can consider sheet paneling. 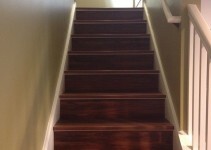 This is a very efficient option, especially if you don’t care as much about the look of your basement. If having seams in your ceilings don’t bother you, this is a solution for you. These panels typically come in pieces they are 4’ x 8’ and they can cost as low as around $15 per panel—talk about budget friendly. 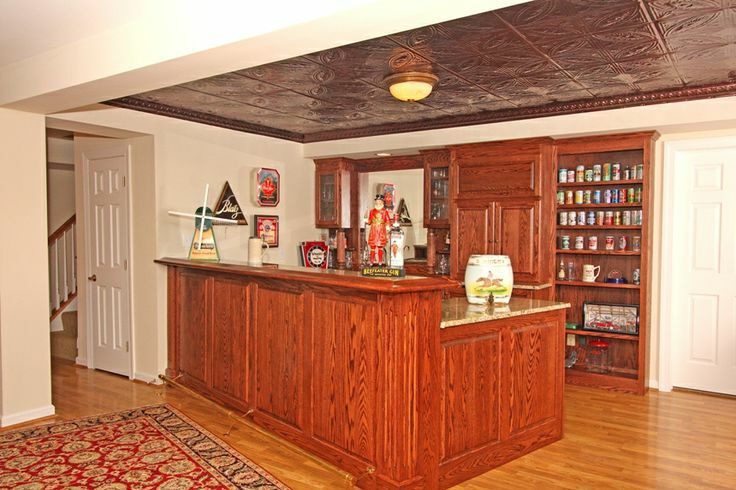 Tin tiles are great for homeowners who want a stand-out look in their basement. This is also a great way to add a vintage feel to your home’s basement living space. One of the great things about tin tiles is that they look like real, thick, intricate pieces of metal work and no one would know how thin they are until you actually touch them. If you are updating the ceiling in an older home, it is important that you pay close attention to insulating the ceiling first. Even if the basement isn’t heated. 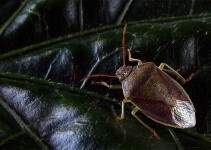 It can help make your home more energy efficient and your basement more comfortable. 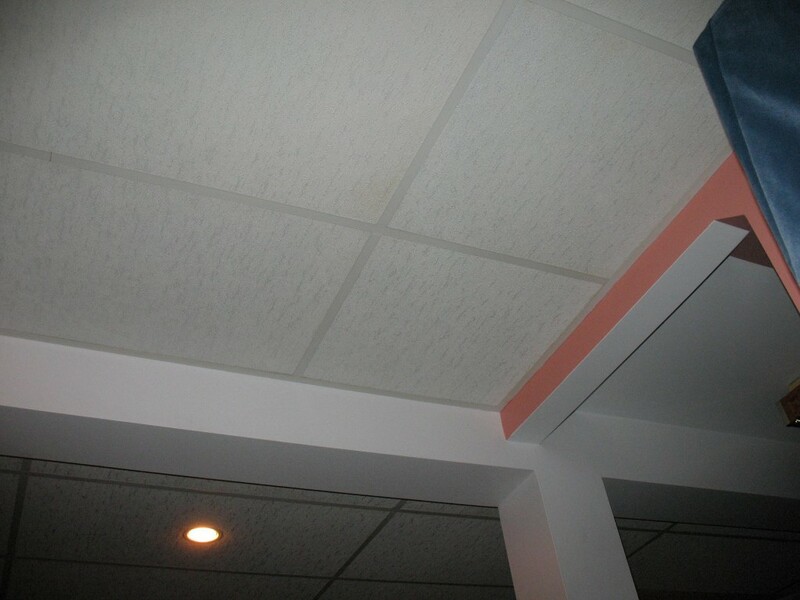 Styrofoam panels are some of the cheapest options out there for basement ceilings, and chances are you have been in quite a few basements that use these tiles for their ceiling coverings. This is an affordable solution, and many times these foam solutions look just like more expensive tile options. It provides just enough coverage and insulation and you will save a great deal of money while you do it. Another similar solution to Styrofoam that still won’t break the bank is particle board. It also comes in tiles or panels and it is lightweight, cheap and easy to install. This may not seem like the cheapest option out there, but you would be surprised to find just how far some thin wood planks can go when you are trying to cover your ceiling. Plus, you can paint these wood planks any color you like, including, clean crisp white, to give your basement a clean and fresh look. You can also get particle board or faux wood panels that will look just like the real thing. A drop ceiling, or a suspended ceiling, is a lightweight, efficient and easy-to-install budget-friendly ceiling option that completely covers ductwork and pipes. It is simple to install, it helps absorb sound and it is much cheaper than other alternatives. This type of ceiling, also known as a suspended ceiling is another great option for unfinished or partially finished basements. 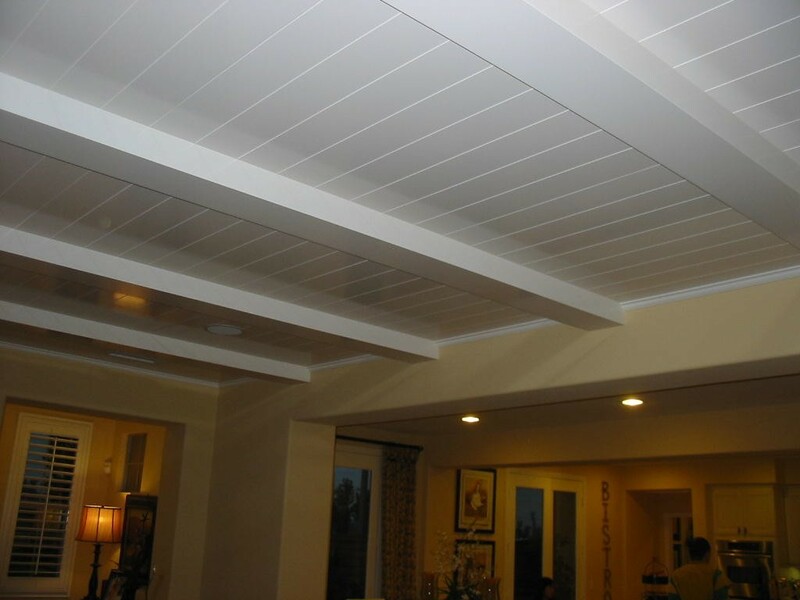 However, thanks to recent updates to how these ceilings are done, you can actually make them much more attractive and even cover them with acrylic or mineral fibers that look like decorative wood or metal. It is a rather obvious choice, but it is one that is actually much more affordable than many homeowners think. If you have pipes and beams exposed in your basement ceiling, call someone about doing drywall, or even try it yourself. 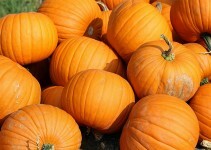 It is quick, affordable and can provide great insulation and a clean slate for your newly finished-off basement space. Typically, drywall is only a $1-2 per square foot so it may not be as big of an investment as you think.